BNS Santa is Here to Spread Cheer! For the year end, we want to give somethng to celebrate about! 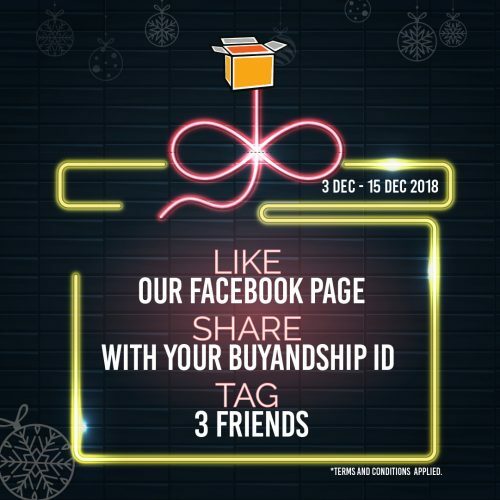 We at BuyandShip are really thankful for the support we’ve been given by our users so far, and to show you our appreciation, Santa BNS is coming to town to give a gift for 4 lucky users! 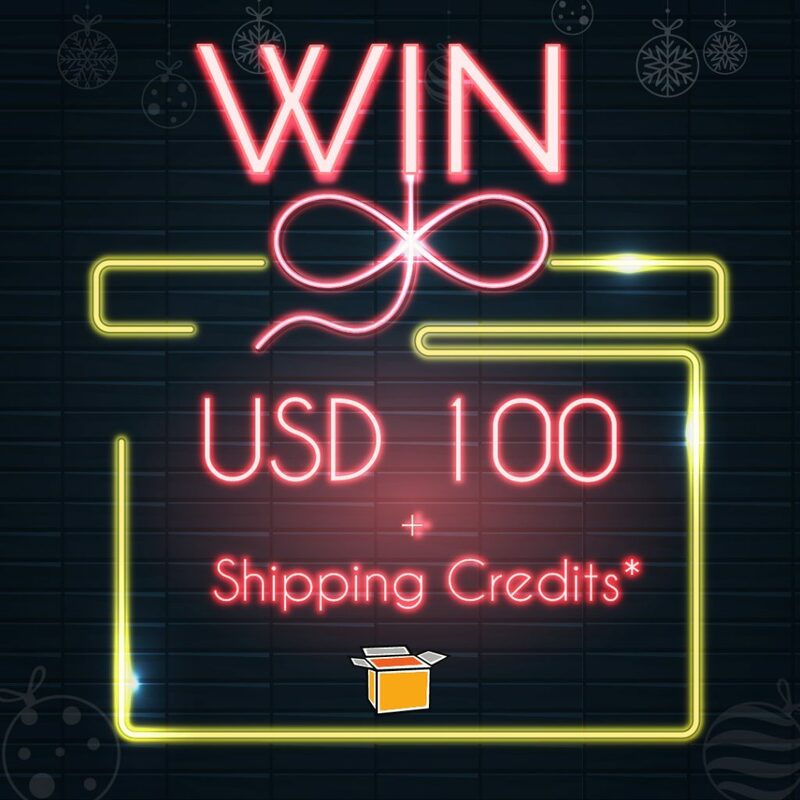 Between 3-15 December, you can enter our contest to win spending money of up to USD100 + free shipping with BUYANDSHIP MALAYSIA! Be sure to hit the comment on our posts on our social media accounts on Facebook and Instagram and participate in our giveaway! 2. Share the competition post publicly on your facebook page with your BNS Member ID (Which means you have to be registered on our service – you’ll also get RM10 upon first sign up to use towards your first shipment). 3. Tag 3 friends on the original competition post. 3. Tag 3 friends on the original competition post here. 2 winners each will be randomly selected from our Facebook and Instagram Pages and results will be announced on the respective platforms on the 17th December, and a BuyandShip staff will be in touch with the winner via the email registered in their account. 1. Participants needs to be a member of BNS. 2. Each member account is limited to one prize only and has to fulfill all requirements to be eligible to win. Although multiple entry is allowed, each entry is not allowed to repeat friends who already has been tagged, and @buyandship.my, or other BuyandShip accounts are not allowed to be tagged. 3. Once the information is submitted, it can not be revised. 4. Participants have to have a registered address in Malaysia. 5. Participants will be contacted by BuyandShip via the address registered on BuyandShip, in reference to their Buyanship Member ID on the winning social media account. Should BuyandShip do not receive a reply after 7 days, another winner will be contacted. 6. Participants can not pick restricted items as listed on our Restricted items list. 7. Participants can only select products from U.S., UK, China, Japan, Korea or Hong Kong online shops. 8. Participants can only pick one product worth US $ 100 or less and any claim beyond the price will be canceled. 9. Free shipment provided is only for 2lb. If prize is over this weight then winner will have to bare the extra charges to BNS. 10. If the online shop does not accept overseas payment, or can not be sent to the transfer warehouse, we will contact the winner to pick another gift. 11. If gift is beyond the limits of transhipment, we will contact the winner to pick another gift. 12. The gifts cannot be exchanged or exchanged for cash. 13. Participants understand and are willing to abide by the terms and conditions. 14. In case of any dispute, BuyandShip reserves the right of final decision.